I want to talk a little about Self Discipline. The definition of Self Discipline is the ability to control one's feelings and overcome one's weaknesses. The ability to pursue what one thinks is right despite temptations to abandon it. I have been asking my players what exactly Self Discipline means to them. In this article, I will tell you what I think Self Discipline means and how we can bring it into practice every day. I believe self-discipline is a learned skill and is something you can teach to kids of all ages. 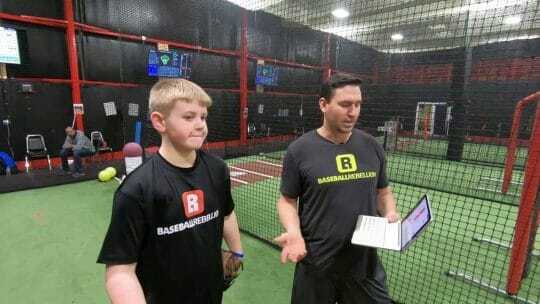 Even though younger players have a hard time comprehending some of the concepts I teach, we can still work toward building self-discipline in them to help them succeed on the diamond and in life. In the evaluation process, we film the pitching delivery and talk about what the player does well and how we can enhance movements. 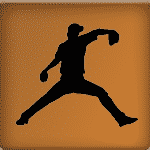 Around 99% of the time kids and parents have no clue about some of the things that go into a pitching delivery. Let alone know what or how to fix it, if needed. My job is to shed light on the areas that can be more efficient, for example, how to use the lower half better or making your arm action cleaner. We have dozens of drills to help out with enhancing the trouble areas that we see. Simply knowing these things can start the process of building more Self Discipline. No one wakes up one day and is suddenly blessed with self-discipline. You need a strategy. Wanting to increase good habits is the first step to kicking the bad habit. 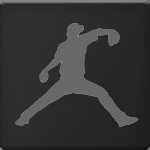 This is where we have a process of movements to enhance throwing mechanics to lead into a pitching delivery. We start with the upper body rotation and move into blending both upper and lower half. Once a player learns the progression it is up to them to focus on eliminating bad habits. EVERY REP HAS A PURPOSE!!! Paying attention to every rep is key to eliminating bad habits. It only takes one moment of weakness to or loss of focus to go backward. Making it difficult to access those temptations and being in the moment on every throw can be pivotal to increase self-discipline. 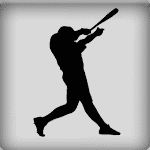 If your weakness is throwing fastballs that cut, focus more on releasing the ball off your index finger. Using technology like slow motion cameras and Rapsodo can help reinforce the best movements and tell us what we need to do to repeat them. It’s normal to want to avoid pain and discomfort, but trying to eliminate all discomfort will only reinforce to yourself that you can't handle being uncomfortable. We can usually stand a lot more discomfort than we think we can. The Baseball Rebellion movements were weird to me at first. They felt weird but RIGHT! Practice allowing yourself to experience uncomfortable feelings like a longer arm swing, posture change, front leg brace up, and better finish. This will increase your tolerance to the negative emotions that you may experience as you increase your self-discipline. There should always be a goal behind what you are trying to achieve. Whether it's playing at the next level from where you are or wanting to play in the MLB. You’ll be less likely to cave to temptation when you focus on the long-term goal. There is something to gain in every rep. A continuous focus will help create repetition. The more you repeat good habits the better you will be. Giving in to today’s temptations may make you feel happy now, but long term happiness is what you want to strive for. Visualize yourself meeting your goals and reaping the rewards that you’ll gain by practicing self-discipline on a daily basis. Self-discipline comes easier on some days than others. It is much harder the younger you are. Take the answers to these interviews for example. One is of an 11-year-old right before one of his lessons. The other is of Big Leaguer Evan Phillips before he left for this past week for Spring Training. If you’re feeling stressed about an upcoming test or tryout, you may convince yourself to skip your workout. You may be excited about your birthday party or winning a battle royal on Fortnite, you may let your good habits slide for a bit. Making mistakes is part of the process of becoming a better player. The way you recover from those mistakes is what’s most important. The key is to acknowledge your mistakes and move on from them or they will way on you. Like I said earlier self-discipline can be taught and learned, no matter what age. It is a very important part of my methodology and a huge part of my lessons. The purpose of being able to play catch properly, with a focus on every throw is an important but hard task. Kids that learn how to control themselves and have a plan shrive in my program. It is nothing more than paying attention, embracing being uncomfortable, knowing what you want to do long term, and not being afraid to fail. After all, self-discipline is the key to reaching your goals and creating a better baseball career. The good news is we all have the ability to be self-disciplined, you just have to practice.